The Burlington area is a hub for refugees and immigrants in Vermont, but area officials and businesses are concerned about this population shrinking. Recent federal restrictions have limited the number of refugees coming to the state and there’s another problem too: some New Americans are choosing to leave Vermont. Burlington Employment Agency is in a non-descript building in Burlington’s Old North End — upstairs from an Asian grocery store and down the hall from a shop filled with kids clothes and gold costume jewelry. It’s sparse office is filled with natural light from big windows that face the street, and chairs line each wall. On a recent Thursday, Bhuwan Sharma sat at a large wood desk with a stack of envelopes next to him. It was pay day, and every 15 minutes someone walked through the door looking to collect their check. Sharma co-owns Burlington Employment Agency, a temporary employment agency that finds jobs for New Americans. On a typical day, people stop by looking for jobs, or for help with things like social security paperwork or housing applications. People often stop by just to chat, after picking up groceries downstairs. “It’s almost like a big family working together and that’s something we’ve consciously tried to do, and it works in our favor,” said Sharma. Sharma immigrated from Nepal seven years ago on a diversity visa. 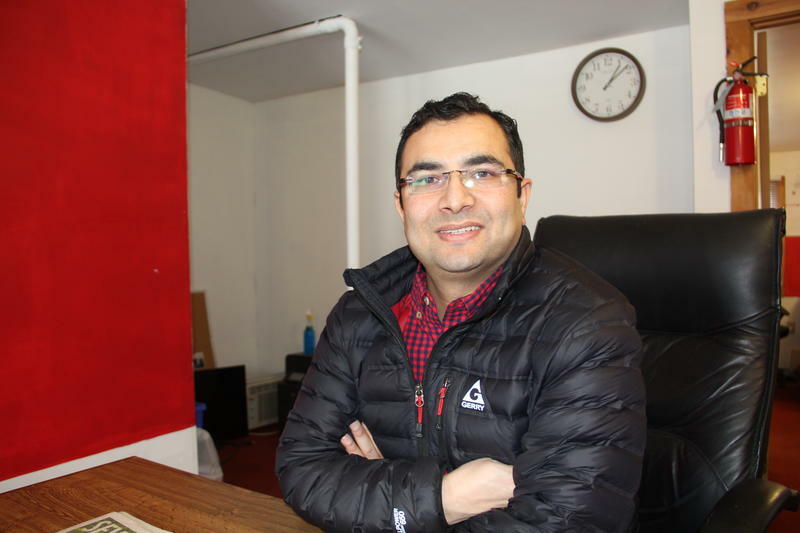 Many of his approximately 80 clients are Bhutanese-Nepali, the largest group of refugees in Vermont. They started arriving in the state about 10 years ago from refugee camps in Nepal after being expelled from Bhutan as part of an ethnic cleansing. Today, more than 2,500 Bhutanese-Nepali people live in the Burlington area. Sharma saw a business opportunity in connecting them with local employers.